Home is not a place, It’s a feeling! We’ll make you feel right at home! Our dorms have “En-Suite” bathroom, a comfiest 3.5 feet beds with white sheets and duet, 2 sockets charge point, huge locker and perfect Air-con. We know that the cleanliness is the number one concern for our guests and we proved from our reviews, We can guaranteed!! Learn Thai Culture, we ask your assistance to remove your shoes at the entrance - Shoe lockers are provided. 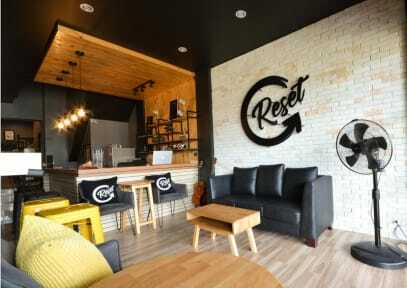 Many hostels in Southeast Asia now being owned and operated by Foreign investors but at Reset Hostel, running by Local Thai’s and...Your happiness is our aim! 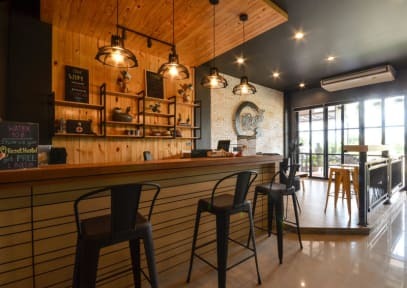 Escape from the usual touristy crowd, which is perfect for guest who really want to get “RESET” Klong Muang beach is pretty beach located to the north of Ao Nang and the beach are free of long-tail boats traffic. Plenty of original beach bars and restaurants to spend while waiting sunset. It’s time to get your snack on…all day long! Cookies!! Biscuits!! Noodles!! Enjoy it all! You won’t face a limited choice here! And you choose what you like! Oily es la mejor Host! Todo está limpio y ordenado . Lo mejor es la playa frente al hostal ! It is a really nice place to stay. The beach on the front is really quiet so it is recommended if you want to disconnect and rest. You can also rent a boat in the beach and they take you to near islands. Oily and her husband are super nice and they help you on everything. We needed to stay one more night that was not planned before and as there was not space in the hostel, they helped us to find a room in the guesthouse next door. Thank you so much! Nuestra estancia en RESET HOSTEL fue extremadamente agradable, las instalaciones estan nuevas y cuidan la limpieza muchisimo. El trato es familiar y cercano a la vez que super resolutivo, estuvieron pendeintes en todo momento de como podian ayudarnos en la toma de decisiones de nuestro nuevo destino y tambien aconsejandonos sobre que actividades realizar. Tanto las camas como el desayuno superaron nuestras expectativas. Esta a 25m. del mar con muchos restaurantes de playa muy agradables. Oily es una genia! Super simpática. El hostel es muy limpio, y el desayuno super completo. Lo único que nosotros eramos un grupo de 4 personas y nos hubiera gustado estar los cuatro en la misma habitación. Muy seguro! Una noche nos olvidamos una mochila afuera y el marido la entro para guardarla. Super recomendable!! Está al lado de la playa pero bastante lejos de la ciudad, es quizás su único aspecto negativo. El resto todo perfecto, desayuno muy rico y hay bebidas y snacks durante todo el día , habitaciones cómodas y amplias. Destaco especialmente el trato familiar que te brindan. Totalmente recomendable! Muy buen drsayuno, alejado del centro pero tranquilo. El personal de 10 la pareja y el hijo todos amables.